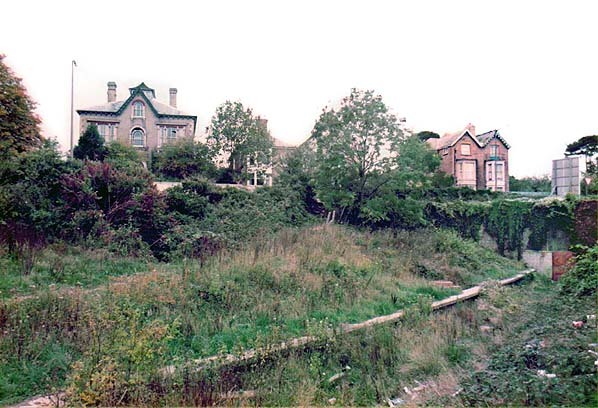 Present state: Demolished - the station building has been demolished and the trackbed filled in although part of the sweep of the platform edge was still visible in the small park that occupies some of the station site. 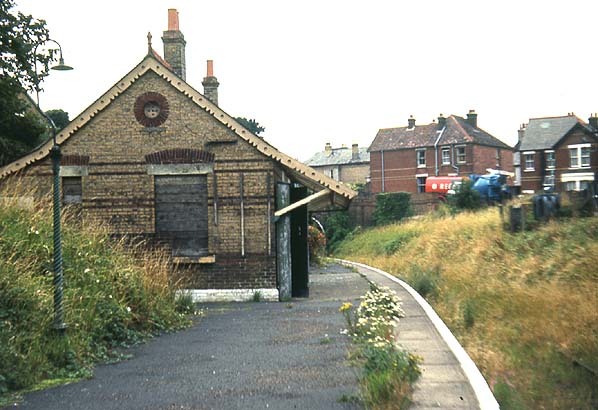 New housing has been built on the southern part of the station site. 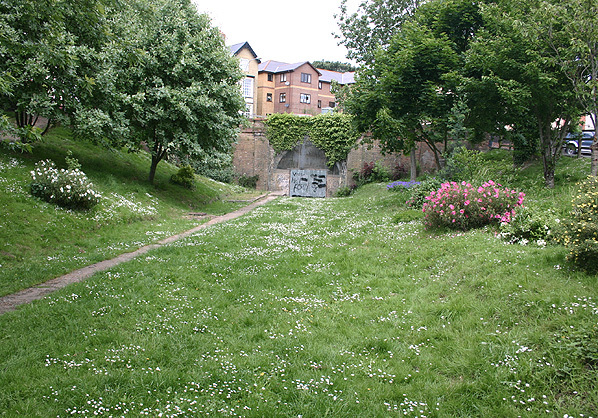 The tunnel is extant and used by a gun club. Notes: There is some confusion about the opening date of the station, three different books each giving a different date. 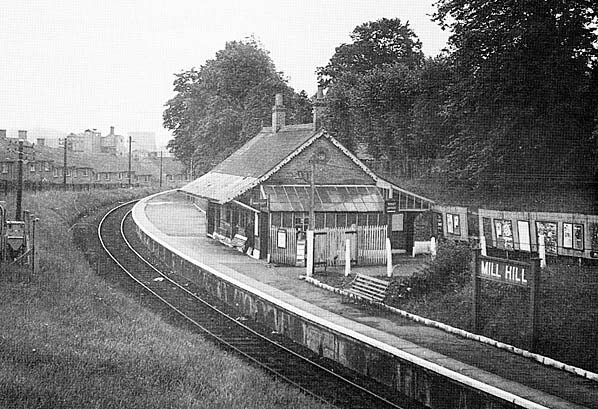 Orders to open the station 'forthwith' were given in 14th May 1871 so it was clearly not opened before that date. It first appeared in Bradshaw in October 1871. 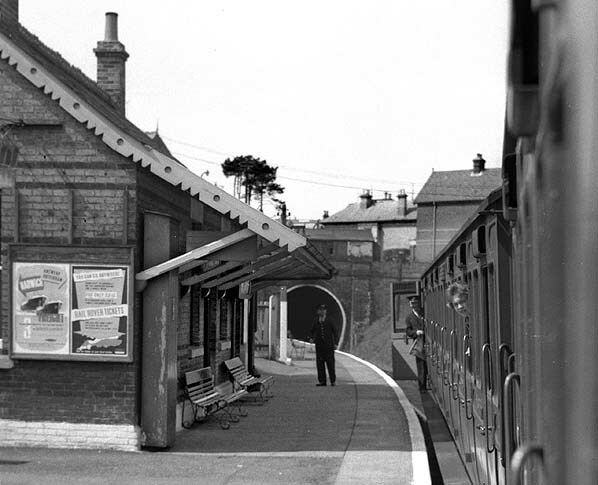 The station originally had a short siding was located on the up side of the line. 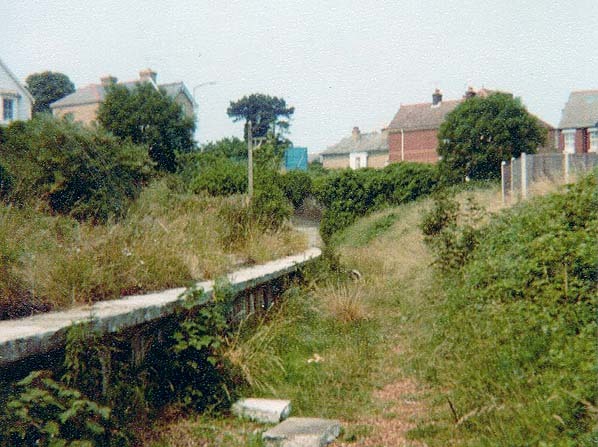 Apart from the tunnel mouth and a small section of platform the site was cleared in 1985 when new housing was built. 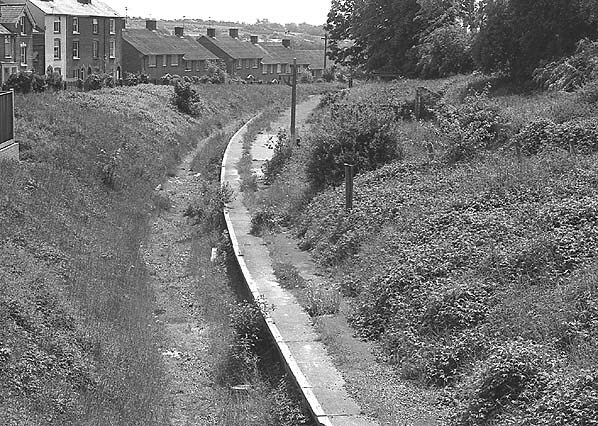 Mill Hill station looking north-east c.1984. 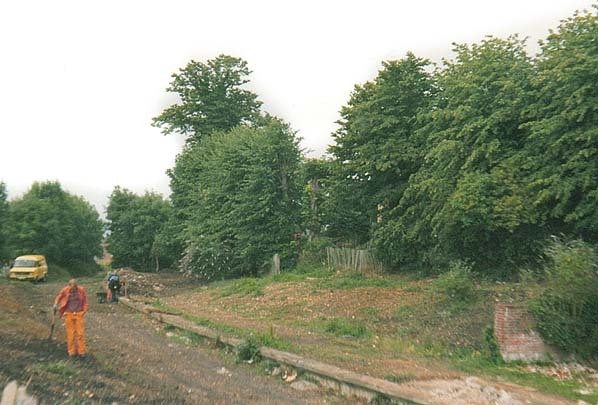 Mill Hill Station in June 2005 - the platform edge is clearly visible. 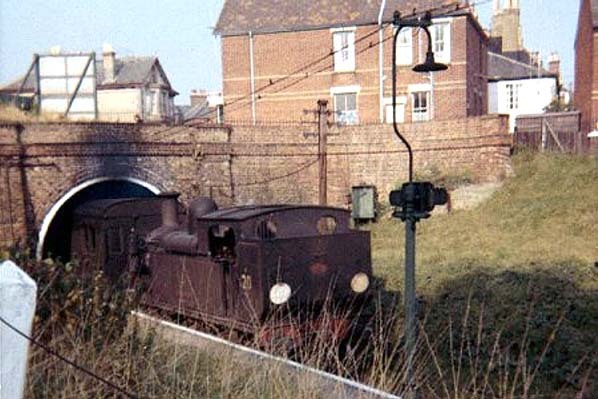 The tunnel is now used by a gun club.